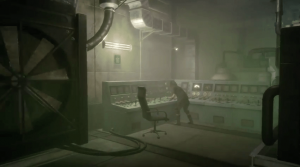 Noctis in a Zegnautus Keep control room. Resident Evil keycard hunting, anyone? The team at Square Enix has announced that an update for Final Fantasy XV will be released to allow for even more content, storyline and possibly even playing (yes, controlling) as other characters in the game. And while more subtly addressed, the patch is also going to “enhance” the gameplay of the generally frustrating Chapter 13 – Redemption. Most of these additional features are quite explanatory, but we’re a bit more interested on how Mr. Hajime Tabata’s team is going to improve the experience of Redemption which, as some players have come to call “a Final Fantasy game gone Silent Hill”. Dark and dreary rooms abound, and not to mention the very cliche zombie leg grab from enemies lying on the floor in some of the areas. 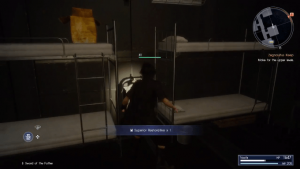 Consensus among players seems to highlight a number of factors during their playthrough of the chapter, which has one of the most critical plot reveals in the game. Unfortunately, the enclosed spaces, clumsy camera angles and occasional jump scares from daemons lurking the metal gray-draped, almost Resident Evil-esque hallways of Zegnautus Keep have not sat well for a lot of fans of the series. And after a while (or sooner), Chapter 13 gets very stale. You’ll find yourself dragging on just to get out of the darn place. Since the official release of the game, opinion has been greatly divided on how the series’ latest installment has delivered what it hoped to be the greatest open-world RPG experience to date. This is especially troubling for the team at Square Enix, which took nearly 10 years to redesign and tweak the game from its aborted sibling — Final Fantasy Versus XIII originally planned for release on the Playstation 3. Meanwhile, you can check out our review of Final Fantasy XV here!